The purpose of this study was to investigate the transformation of stimulus functions from socially relevant to arbitrary stimuli as a model of social stigmatization and categorization. Specifically, participants were trained to respond to arbitrary stimuli as if they were obese or thin stimuli via a matching-to-sample preparation. The impact of this relational conditioning was tested using the Implicit Association Test. The results showed that when participants met the fluency-based training criterion, the bias functions of obese/thin stimuli successfully transformed formally similar variants of the arbitrary stimuli. These results suggest it is possible to affect a transformation of bias functions to wholly arbitrary stimuli using a very brief conditioning history. 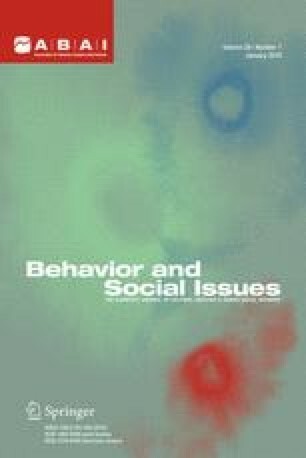 A clearer conceptualization of the development of stigmatizing categories, particularly as it applies to obesity, might yield important insights into the social contexts that cultivate and maintain stigmatizing attitudes.